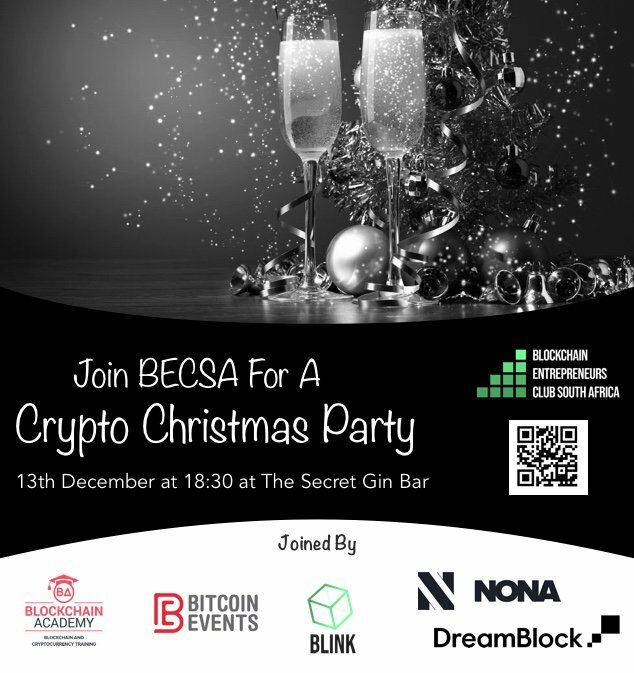 Join the Blockchain Academy, The Blockchain Entrepreneurs Club (BECSA), Bitcoin Events, DreamBlock and Nona in celebrating a busy year in the blockchain space. BECSA (The Blockchain Entrepreneurs Club South Africa) are the organisers of this event. This is an informal event, where the community really gets the opportunity to network and have some fun. There will be some amazing blockchain influencers in Cape Town who will be there as featured guests so this will really be an opportunity to meet some of the blockchain pioneers in the Cape Town blockchain scene. There will be a private bar and area at the Secret Gin Bar, and light snacks will be provided.